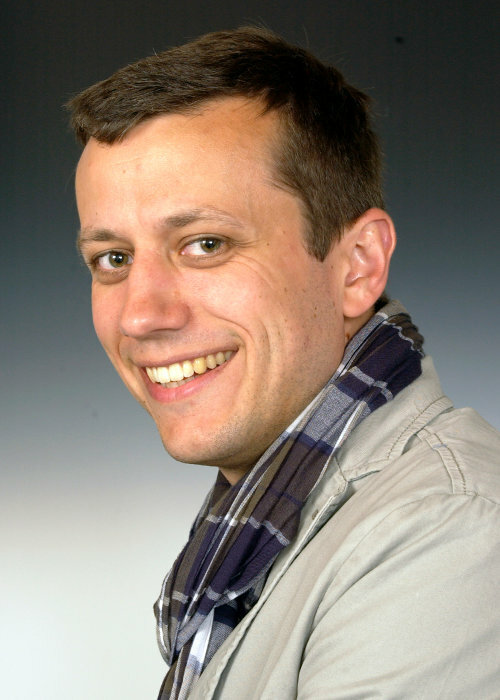 » ENVISAGE SEMINAR by Dr. Timm Krueger, "Particle and Cell Sorting in Microfluidic Devices"
ENVISAGE SEMINAR by Dr. Timm Krueger, "Particle and Cell Sorting in Microfluidic Devices"
Suspensions of deformable particles, e.g. capsules or red blood cells (RBCs), show a rich dynamical behaviour in external flows. The particle deformability leads to asymmetric particle shapes which in turn can cause cross-streamline migration, even in the Stokes limit (zero Reynolds number, Re = 0) where one would naively expect time reversibility. The situation becomes even more interesting when the Reynolds number is not zero and inertial effects are taken into account. Both deformability and inertia effects can be exploited to focus or sort particles in suitable flow geometries. In this presentation, I will talk about two examples with potentially high relevance for engineering applications: (1) sorting of RBCs by deformability in microfluidic arrays (at nearly zero Re) and (2) inertia-augmented particle focusing (at finite Re). Deterministic lateral displacement (DLD) devices are commonly used to separate cells and particles by taking advantage of their intrinsic properties (e.g. size). DLD has previously been employed to separate blood components, to enrich white blood cells (leukocytes) or to detect parasites in blood. Deformability effects of RBCs are usually either neglected or declared to be detrimental. 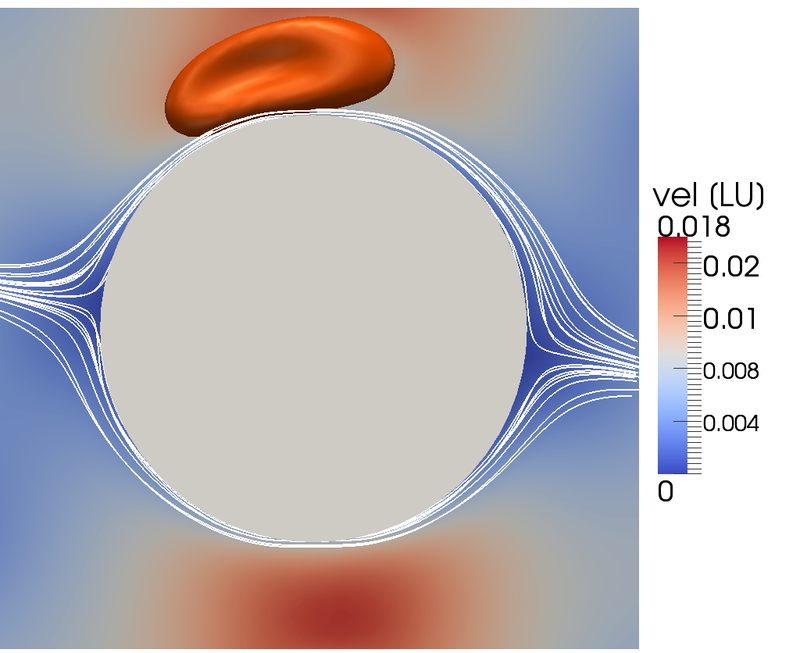 In order to investigate the behaviour of deformable RBCs in DLD devices, we have performed high resolution computational fluid dynamics simulations. We find that DLD devices can be employed to separate RBCs by deformability, which is, for example, relevant for the detection of malaria-infected cells. The interplay of inertia and deformability has a substantial impact on the transport of soft particles suspended in a fluid. However, to date a thorough understanding of these systems is still missing and only a limited number of experimental and theoretical studies is available. Depending on the deformability and strength of inertial effects, inward or outward lateral migration of the particles in a planar Poiseuille flow takes place. In particular, for increasing Reynolds numbers and strongly deformable particles, distinct flow focusing emerges which is accompanied by a non-monotonic behaviour of the apparent suspension viscosity. This effect, which is caused by both single-particle behaviour and particle-particle interactions, may be of relevance for applications of flow focusing or suspension transport.